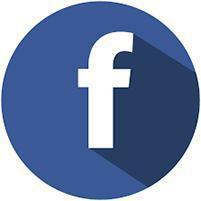 Check Us Out on Facebook We have over 90 positive reviews! South Lake Medical Center, Inc.
"The best medical clinic I have ever been to. The doctors that work there are excellent." "Clean and well organized facility, outstanding staff, and professional doctors." "I would recommend them to anyone for any kind of physical pain." "My whole family has been coming here for years and we love it!" "I had excellent results with the treatments for my knees." "I've been coming here for physical therapy... and I'm getting stronger with every visit." The team of dedicated healthcare professionals at South Lake Medical Center, Inc. in Pasadena, California has a mission to restore their patients to optimal health and wellness. To accomplish their goal of providing state-of-the-art healthcare to residents in the communities of Southern California, the providers at South Lake Medical Center utilize a multidisciplinary approach, using the best of Medicine, Chiropractic, Acupuncture and Physiotherapy in caring for individuals who come to the center. Whether you’re experiencing back pain, neck pain, knee pain, shoulder pain, or foot pain, the team at South Lake Medical Center focuses on treatment plans that provide optimal recovery and accomplish your overall goals for wellness. The highly qualified providers at South Lake Medical Center, have extensive experience in numerous medical disciplines; such as Occupational Medicine, Musculoskeletal Medicine, Chiropractic care and Acupuncture. These innovative healthcare specialists practice together and provide traditional and nonsurgical approaches to Pain Relief and Rehabilitation, using a wide variety of treatment methods, including state-of-the-art treatment in modalities, therapy Trigger Point Injections, Stem Cell Therapy (for further explanation see stem cells under services), Chiropractic care, Acupuncture, Rehabilitation exercises and even Pain Management when required. Issues commonly treated at South Lake Medical Center include traditional and non-traditional, non-narcotic pain relief and much more. There is a new device designed in Switzerland the FDA has recently approved for Pain Management. Recent studies show that up to 75% of people taking narcotics are able to either reduce or eliminate their narcotic consumption entirely. This is covered by Medicare and regular PPO insurance. Contact us to find out if you are a candidate. We also have cash payment plans for our patients without insurance coverage or high deductibles. *DISCLAIMER: Like all medical procedures, our procedures have a success and failure rate. Patient reviews and testimonials on this site should not be interpreted as a statement on the effectiveness of our treatments for anyone else. Check out our 90 5-Star reviews on Facebook! 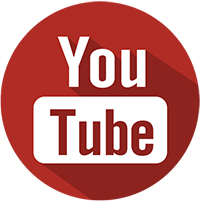 Check out our Youtube Channel with over 90+ videos, where you can view more patient testimonials! "I highly recommend South Lake Medical Center... After treatments with the chiropractor, I am feeling so much relief and my back is a lot better now." "I have been coming to South Lake Medical Center for years. It's nice to go to an office that has high standards and really cares about the patients!" "I came to the office with a bad back and if you see me now you won't believe I had back pain. The doctors are very professional and great.... I truly recommend it." "I've been going to the medical center for 6 years and they have been very helpful in my treatment. I would refer anyone to come to the center..."
"I recently started treatments at South Lake and can honestly say I noticed a difference in my knee pain immediately... I highly recommend them." "I want to thank your facility for helping my mother return back to good health. Thanks to your friendly doctor and staff she's feeling back to her healthy mobile self." At South Lake Medical Center, we accept Medicare and PPO plans including California Care PPO's. If you do not see your insurance listed here, please call our office to confirm we accept your insurance. We will be happy to help you. We also have payment plans and financing for our patients without insurance coverage or high deductibles.